Devon found yoga and meditation as a first time mother looking to find her new identity. Through these practices and others like energy work and Tarot she found that the key to wellness comes through self-awareness, self-care and willingness to make changes. She uses yoga and meditation to to dive into the body, mind and spirit to help heal any dis-ease that may cause future ailments. 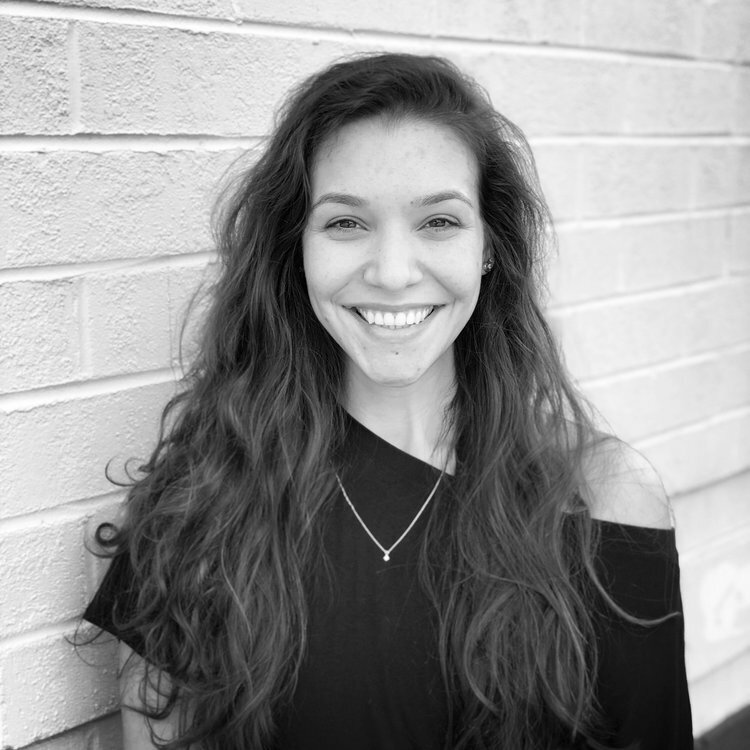 Her playful spirit fuels her passion to teach kids yoga and help adults find their inner child longing to be expressed all while providing the opportunity to strengthen the body, calm the mind and uplift the spirit. Devon completed her 200-hour Kunga Yoga Teacher Training through the Wilmington Yoga Center. A large focus during this training was the Kunga philosophy to serve or give back to the community. Through this, Devon is excited to be build Durham's yoga community and spread it to all those who need it! Find what feels good! Love yourself, trust yourself and go create your dreams! Erin Kaltenbrun, Ph.D., RYT-200 is a west coast transplant to NC from the mountains of northern Nevada. She relocated to North Carolina in 2007 and earned her Ph.D. in molecular and developmental biology from the University of North Carolina at Chapel Hill. She came to yoga in quite an ordinary way, hoping to gain some flexibility and strength, but quickly discovered yoga as a way to manage anxiety and depression. After years of developing a daily practice of asana and meditation, she has come to understand yoga as a path to freedom through healing of the body, mind, and spirit. In 2016, Erin received her 200-hr teaching certification from Republic of Yoga in Cary under the inspiring guidance of Nicole Nichols (Narayani). Erin guides a rigorous, flowing asana supported by playful, uplifting tunes and a shared intention to connect to our highest potential. She is grateful to all of the teachers who have held sacred space for her in their yoga rooms, including her very first teacher, Hollie Sue Mann. Success is knowing that you are on the path, exactly where you are meant to be right now. It is living a life in which you are continuously expanding your vision of what is possible and stretching your soul a little bit more each day. Gena is a Yoga, Aerial Hoop, and Pilates mat instructor. She began a vinyasa and Ashtanga practice in 2010 as a supplemental workout for her aerial arts training. This led her to love anatomy and the controlled movements that come from the human body, with that she found a deeper appreciation for herself and the world around her. In 2013 she started taking classes at Orlando Power Yoga, a Baptiste inspired studio in Florida, where she fell in love, she had never been a part of such a powerful and welcoming practice. Her first Baptiste class was filled with sweat, strength and a sense of community. This led her to continue her practice in the Baptiste method. Gena strives to bring acceptance, positivity and power into each of her classes. Gena completed her 200 hour teacher training at Franklin Street Yoga, where she continues to train under her teacher, Lori Burgwyn. She teaches Power Yoga, Core Flow and Aerial Arts classes at various studios throughout the triangle. Gena's goal is for each person to be comfortable in their skin, find balance in the body and learn to quiet the mind, whether on or off the mat. With the help of yoga we’re able to develop confidence in, and an understanding of, our own bodies and live a life filled with ease. Seven years ago, what originated as a way to workout became a healing tool in my life. I realized the transformational and healing aspects of yoga and meditation, and I knew that I had to spread this love for the practice with others. I received my 200hr Kunga Yoga Teacher certification, through a program, designed to bring yoga to underserved communities, under the guidance of influential leaders: Kristin Cooper, Jess Bichler, and Sylvia Jabaley. I have experience teaching in studio settings as well as teaching yoga to families who I work with as a social worker. I feel grounded and energized returning back to my beloved hometown, the Bull. My classes are rooted in meditative movement, to journey within ourselves, to move and sweat to yummy soulful tunes, relaxing into deep savasana with essential oils and gentle thai yoga assists, all while trying to smile at some point. :) Hope to see you on the mat! The people and experiences that have caused you the most struggle and the most pain, are your greatest teachers and lessons in life. They’ve shaped you into the beautiful, messy, complicated being you are now. Thank them for that. Jessica Cuttance, LPCA, M.S., CRC, RYT-200 has a Master’s Degree in Clinical Rehabilitation and Mental Health Counseling and is licensed as an associate in the state of North Carolina with the board of Licensed Professional Counselors. She studied psychology at the University of North Carolina at Chapel Hill and was an ardent student of yoga at Carrboro Yoga Company under the expertise and direction of the international authority on Yoga for Athletes, Sage Rountree and Carrboro Yoga Company studio owner and long-time yogi, Lies Sapp. 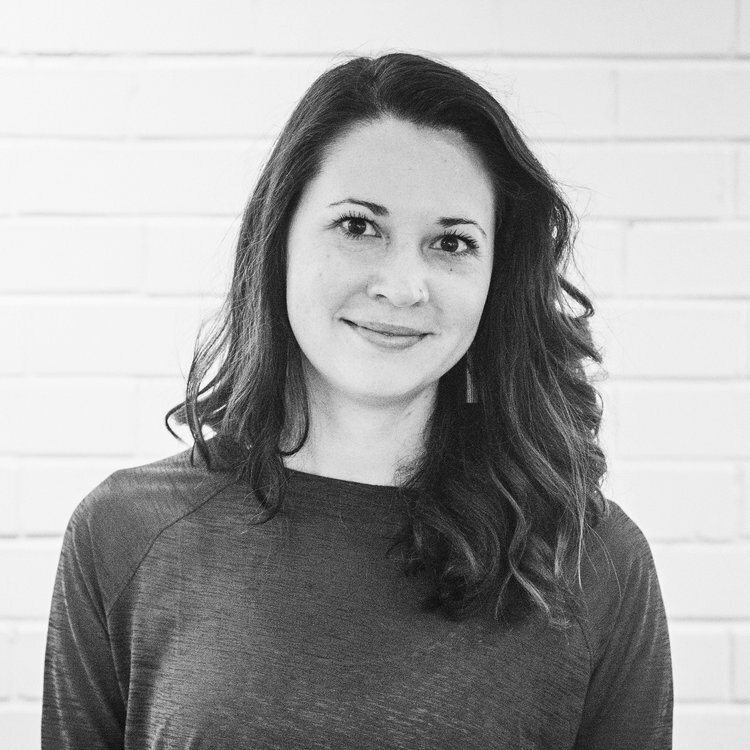 As a mental health therapist, Jessica believes in the practice of yoga as a tool to promote both physical and mental wellness. 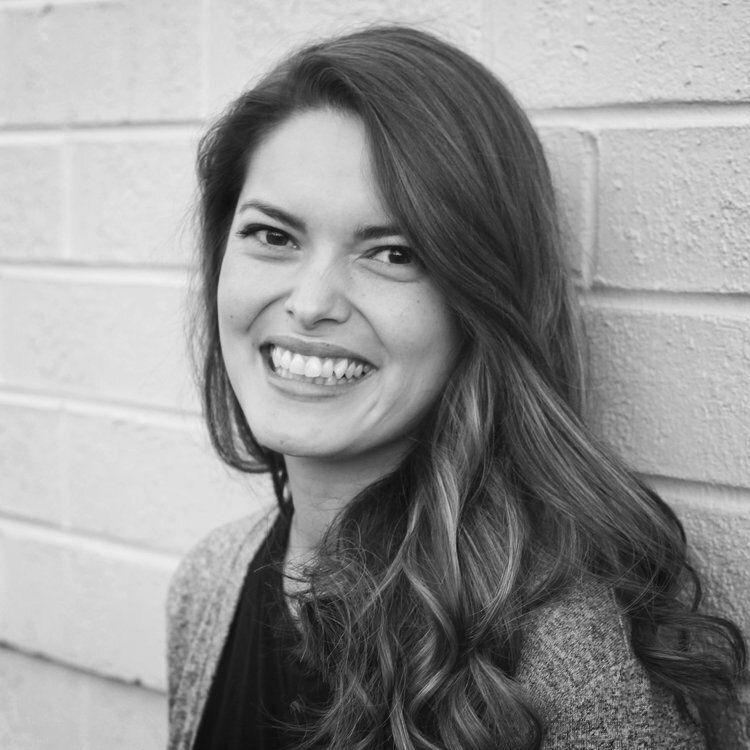 Jessica specializes in therapeutic styles of yoga that energize and stimulate the body, calm the mind and strengthen one’s ability to be present in everyday life, both on and off the mat. Jessica hopes to challenge you and most importantly leave you feeling relaxed, better able to manage stress, cope with negative emotions and with a deeper connection to the present, here and now. Success is feeling at peace with yourself, knowing deep down who you are, what you value, and then living your life accordingly. Katelin started practicing yoga her senior year of college. She played Division 1 soccer her freshman and sophomore years and was looking for something to help with chronic injuries and anxiety. She found yoga frustrating at first but her competitive nature and the improvement in her overall well being kept her coming back for more. Eventually realizing yoga wasn’t about competition with others or even oneself, Katelin was able to begin to deepen her practice by trying a variety of different styles of yoga and meditations. In the fall of 2015, she decided to take her 200hr teacher training at Blue Point Yoga Center, Durham NC. She hoped it would help not only her personal practice but also her public speaking skills, with no real intention in becoming a yoga instructor. But she quickly realized how much she enjoyed teaching and after completing her teacher training in May of 2016 she immediately started teaching at Blue Point Yoga Center. Katelin was born and raised in Durham, and though she’s lived in different states and countries, she keeps coming back to her hometown. She received her MS in Art and Design History from the Pratt Institute, is an avid art enthusiast, and is a fine artist trained in mosaic art, oil paint and watercolors. She also enjoys circuit training, biking, inferno pilates classes and pretty much anything that gets her moving. 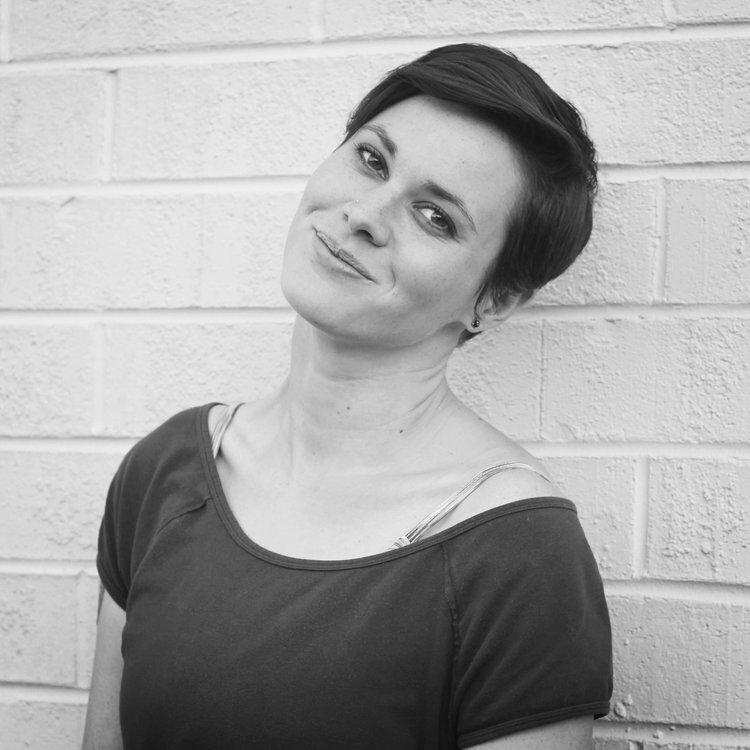 Katelin’s personal practice and teaching style focuses on the use of mindfulness in every pose and through transitions. In her classes you can expect to hear comprehensive physical cues that will help you find proper alignment and also help you to modify the pose for your body that day. You’ll always have the choice to comfortably challenge yourself in each pose and to always listen to your body above anything else. Kathy Sell Smith is the founder of Yoga Off East. She lives in Durham with her husband, Ramsey, their two children and a chocolate lab. Kathy graduated from Duke in 2001 where she spent four years on the women's tennis team while earning a degree in Cultural Anthropology. As a competitive athlete, and later a Division I tennis coach, Kathy found mindfulness and yoga to be effective tools for creating a positive mindset, especially in high stakes moments. She finds it no coincidence that her on-court results improved as she learned, through yoga, how to quiet her busy, critical mind and stay grounded in her body. Today, Kathy is a certified yoga instructor, having completed a 200-hour teacher training at Franklin Street Yoga Center and a 500-hour advanced training at Blue Lotus Yoga in Raleigh. In addition to weekly classes at Yoga Off East, Kathy works privately with athletes and teams around town. The time spent on my mat is never lost or forgotten, but rather the lessons learned and absorbed in my body show up later on their own time. 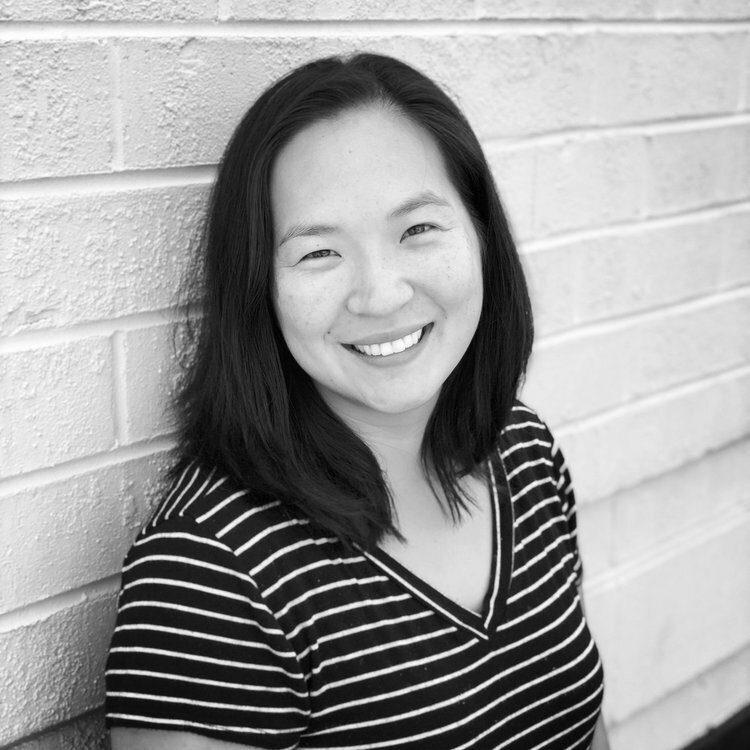 Laura (RYT 200, MSW) is a native Texan who moved to the Tarheel state at the age of four. Laura graduated from Campbell University in 2007 with a Bachelors of Social Work, and from UNC Chapel Hill in 2010 with a Masters of Social Work with a concentration in child and adolescent mental health. She now works for a local nonprofit, where she provides clinical services as well as independent living skills to young adults ages 16-24, who are often aging out of foster care or experiencing homelessness. Laura found yoga as a stressed out college student, and practiced to a DVD in her college apartments. She was able to realize a long-time dream to become a yoga teacher in 2017, when she graduated from the 200-hour YTT at Republic of Yoga in Cary, NC. Laura is incredibly grateful to her teacher, Nicole Nichols at RoY, for her guidance and wisdom. Laura is a passionate believer that yoga is for everyone and should be accessible to all. 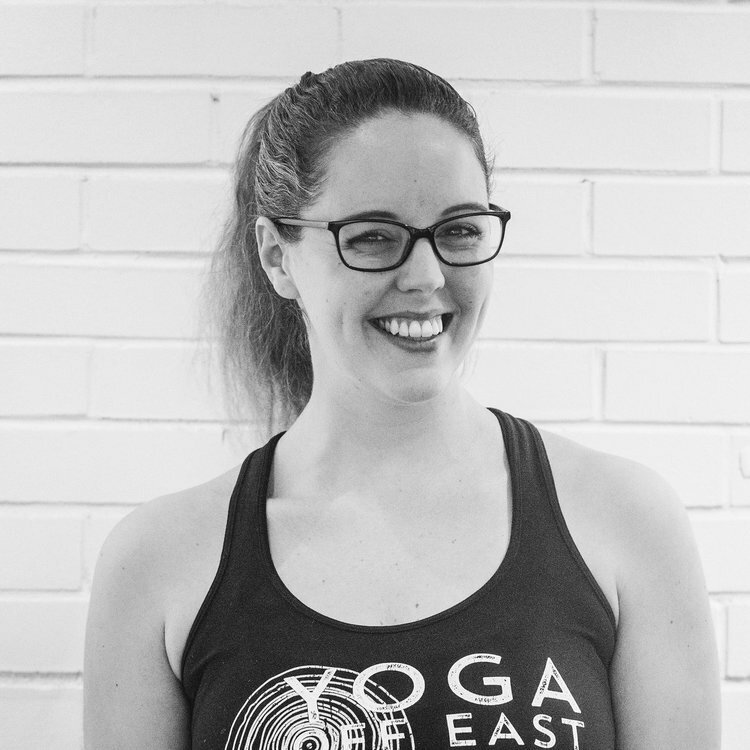 Laura’s classes are rooted in a vinyasa flow style, connecting with breath and intention, and usually including some triangle-based music. Laura is a lover of all things Durham. She lives with her husband Tim, daughter Blythe, and two awesomely weird cats, Soleri and Frank. E-RYT 500, Thai Yoga Therapist, Reiki Master Laura has taught yoga full-time since 2012. In that time, she has created programs for military veterans, athletes, and teenagers. Laura has experience and expertise in anatomy, yoga for athletes, and yoga for trauma survivors. Her initial certification is through Sonic Yoga in New York City, and she has trained with David Emerson and Sage Rountree, as well as other teachers. In addition to public classes, Laura offers private yoga lessons, Thai Yoga Therapy, and Reiki. Laura started yoga for the workout. At that time, she was unable to touch her toes and was much more interested in yoga party tricks than meditation or spirituality. Although she is now passionate about yoga philosophy and a dedicated anatomy geek, her most marked attribute as a teacher is the heart of a healer. Laura considers the yoga practice an act of love for self and world, and she brings that to her teaching. All humans are welcome in class with Laura; this emphatically includes all races and genders. Outside of her teaching and bodywork practices, Laura is a Boston Qualifying marathon runner, two-time Spartan Race World Championship–qualifier—and a recovering survivor of domestic violence. Linda first came to yoga at a corporate gym in New York almost two decades ago. She initially considered this a much-needed stretching class; but as time passed by, she marveled at the way her body and mind felt – stronger and clearer. Over the years, Linda’s yearning for the yoga flow led her to seek various styles and classes, and eventually to yoga teacher training. She received her 200 hour certification from Franklin Street Yoga Center in 2010. Linda's teaching and practice are grounded in authenticity, connection, and presence. What is discovered and felt in a yoga practice may not be utopian and perfect, but parallels and complements all of life’s experiences. And laughing always helps! Linda, her husband Ben, and their three children live in Durham. In addition to being a student and a teacher of yoga, she is a scrum master, sports fanatic, and voracious foodie. Sometimes the yoga is making it onto your mat. Melissa is a NY native, and first found a love for yoga in her high school gym class. Melissa graduated from Binghamton University with a B.S. in Cell and Molecular Biology with a minor in Health and Wellness Studies before moving to Durham, NC for the promise of warm weather and sunshine. No matter where she is, her heart consistently draws her to the mat, which led her to pursue a 200 hour yoga teacher training program with The Mandala Yoga School in 2017. Melissa’s classes feature playful flows that will challenge her students to find their edge regardless of their level. Her ashtanga background leads her to teach powerful classes, with the intention of helping students build their strength as well as their mobility. She enjoys cultivating a sense of community amongst her students, encouraging them to grow and blossom off of each other's energy and breath. She hopes to inspire her students to always keep exploring, both in their yoga practice and in their daily lives. Off the mat, Melissa does research on neuromuscular diseases at Duke University Medical Center. When she’s not at Duke or in a yoga studio, you can find her with friends, likely changing her hair color or posing for her next Instagram. Success is growing, prospering, sharing, and reveling in this life. Mia is a certified 200 hour yoga instructor who has been practicing yoga since she was just 13 years old. What began as a weekly “date” with her mom, over time, transformed into a passion she feels honored to be able to share. A West Coast native, Mia received her BA in Musical Theater from UCLA. During her time in Los Angeles, she practiced yoga at Bryan Kest’s Power Yoga in Santa Monica. Mia started teaching dance classes as a teenager and currently works as a choreographer, voice, dance, and acting coach. Yoga for her is a practice of celebrating the body, and expressing gratitude. Mia’s background in dance and the performing arts inspires both her teaching and personal practice. She strives to fill each class with a sense of joy and creativity. The definition of love is the willingness to sacrifice whatever is thought best for the beloved. Nicole took her first yoga class in college because read that she needed to cross-train for her marathon. It didn’t take her long to realize that one hour on the mat, for her, was infinitely more fulfilling – both physically and mentally – than her daily run. 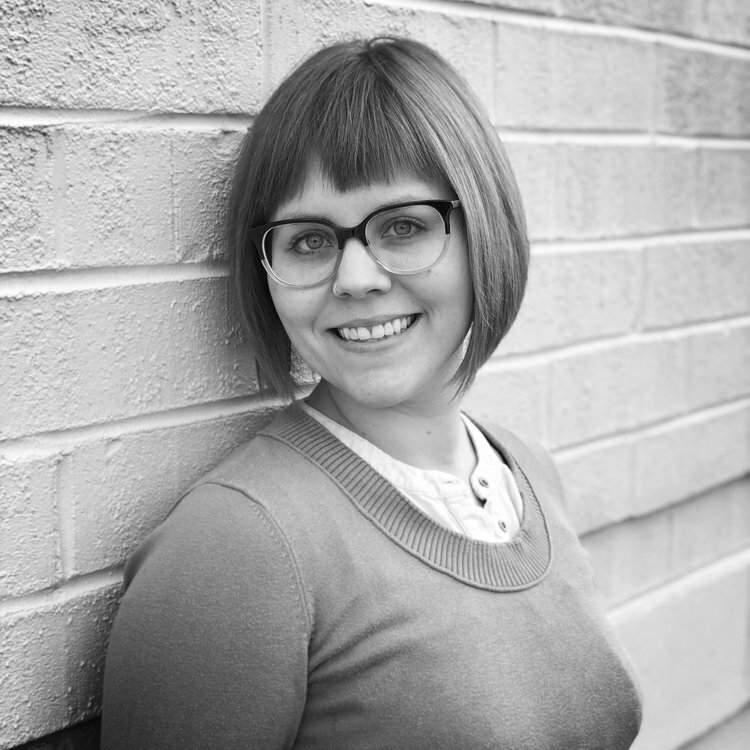 In the following years, Nicole used her practice to manage the stress of graduate school, moving to new cities, and working for various tech startups, small businesses and PBS. The more she learned, the more she wanted to uncover, leading Nicole to study under some amazing local teachers and complete her 200 hour certification at Carborro Yoga Company. Nicole believes that yoga is the relationship built between your body, mind, and breath – three things that define the way you maneuver through the world and impact your relationship with others. She strives to give her students the space for intention, the right breath for the task, and any tips and tricks that make life even the tiniest bit easier. Success is something that makes us feel better about all the work we’ve done, even though there’s always more room for love, learning and growth. Nora’s love for exercise began at a very young age. She fell in love with ballet at just 6 years old, and didn’t miss a day of dancing until the age of 18, when she decided to attend college to study applied mathematics at UNC-CH. It was there that she was introduced to the world of yoga, which served as her new outlet for stress management and overall well-being. Nora chose to continue her applied math studies after receiving a scholarship to UNC-CH’s Ph.D. program, but life, as it does, took a sharp turn shortly thereafter: just shy of completing her first semester, she lost her mother to a rare genetic disease. Following her loss, Nora really struggled to find motivation again, and it wasn’t until she rediscovered yoga when she finally felt a sense of peace reenter her world. This new bond to and view of life in general led Nora to receive her 200-hour teacher training certification under the study of the wonderful Nicole Nichols at Republic of Yoga in Cary, NC. Nora’s classes are taught in the vinyasa flow style with choreographic sequencing and a strong emphasis on breath and body awareness. Her teachings are accessible to all levels and encourage each student to dive inward and explore their own journey to what we all really step onto our mats for – personal transformation. She is dedicated to bringing a positive atmosphere to her classes, sharing her story, and helping others find their path to happiness! Success is knowing that what you are doing is having a positive impact on you and others. Shanon is a certified 200 hour yoga instructor who did not predict the practice to hold such a special place in her heart. In 2014, she unearthed the light of yoga after experiencing “gym burnout” and a spiritual craving for something more. In the habit of going to the gym regularly and trying Crossfit, Shanon realized aggressive fitness routines were wreaking havoc on her joints and simultaneously not nurturing her spirit. Working a full-time desk job revealed a strong missing mind/body connection and she found yoga to be invigorating and nurturing, filling the void that other “workouts” could not. In practicing, Shanon discovered yoga could heal her body and help conquer anxiety and depression. A regular practice has helped her find her roots, connect with her spiritual side, and realize true contentment comes from within. On the mat, Shanon encourages not taking one’s self too seriously, forgiveness, and gentle acknowledgment of imperfection. Yoga is for everyone. Since her first class in 2007, Shannon has taken yoga classes in cities around the world, acquiring tastes for various styles and expressions throughout her travels. What she discovered is that no matter the language spoken or classroom setting, the core essence of yoga always shines through - yoga is here to teach you, to guide you, and to gift you the physical, emotional, and physical strength it takes to move your way through this world. Shannon views yoga as a language and believes that each expression or teachers’ style speaks to different students. Her favorite traditions include Hatha, Vinyasa, Power, and Meditation, with a dash of dance to break up the sticky pieces that accumulate in the body after years of daily, repetitive motions. Just as you might learn a new language and learn something about yourself, she invites you to join the traditional and keep an open mind to allowing yourself to move differently at certain times and see what you discover about yourself. Shannon trained at Embrace Yoga Studio in 2016. She’ve lived in Durham, N.C. for three years and in her free time you can catch her working with start-ups and strolling Duke Gardens with her son. Tammy Kenney, Yoga Alliance, 200 hr Registered Yoga Teacher, has been in Chapel Hill, NC since 2014, originally from the Washington, DC area. She’s been active most of her life – as a child and young adult, a gymnast and competitive powerlifter, and into adulthood an avid gym-goer. It wasn’t until about fifteen years ago that the stress of working in corporate accounting and the emotional demands of having a child with a complex genetic disorder drew her to yoga. Tammy has completed Johnny Gillespie’s Balanced Athlete Level 1 training, focused on mindful movement, structural integration, and connecting the dots of how our bodies are meant to move. She has integrated this training into her teaching, recognizing we each bring onto our mat different patterns of movement, based on development, genetics, and injury. This helps to give her students tools to create healthier patterns. Tammy’s classes are both challenging and mindful, athletic and fun. She teaches with an open, light-hearted nature, offers clear guidance and alignment and modification cues, to ensure that postures are safe and accessible, as well as time and space to explore both the physical and emotional benefits of posture and breath. Wallis first encountered yoga in 2004 when her older sister started the schools first Yoga Club. Every Tuesday night they would gather in the art studio after school and follow along with Rodney Yee videos. Wallis was intrigued. Once her sister left for college, Wallis lost track of her yoga practice and instead became wrapped up in various team sports and fitness training. Attending college in Colorado and craving a return to athletics, Wallis joined her first pilates class and felt that connection to her mat come alive. She signed up for the remainder of the semester, going twice a week, and committed herself to lead a more healthy lifestyle. In 2015, after joining the ‘real world,’ a friend brought her back to the yoga studio. What started as a free week trial flipped a switch and became a lifestyle must that she craved daily. Initially yoga was a means to bring balance to her life as a restaurant manager then became a safe space to seek solace and community during times of loss, change or stress (ahem wedding planning). After moving with her fiancé to North Carolina in 2017, Wallis fell into a very consistent Bikram practice. Being in the studio so often, usually 2 or 3 times a day, she was offered a position and her practice became ever more all consuming. The following January Wallis decided to attend yoga teacher training and completed her 200hr certification at the Asheville Yoga Center. Wallis’ practice has continuously evolved, includes many schools of yoga and allows her to maintain an even keel with her ever changing horizon. Wallis loves to travel and more often than not you will hear half baked plans of where she, her husband and their 2 dogs are heading next.